Friday afternoon Jets fans around the nation were shocked by the news that former Minnesota Vikings and Seattle Seahawks WR Percy Harvin was coming to New York for a conditional 6th round draft pick. Harvin should be able to compliment Jets big free agent WR Eric Decker quite nicely. With Harvin speed and ability to stretch the field it should relieve some of the pressure off of Decker. The trade seems to be a steal for the Jets, due to the fact that the Seahawks forfeited a 1st, 3rd ,and 7th round pick to acquire Harvin before the ’13 season. Although this is a risk reward situation, Harvin’s off the field locker room issues and inability to stay on the field could become a problem for the Jets. Harvin’s contract that he signed after the trade from Minnesota to Seattle restricts the Jets from going after a top corner in next years free agency. Harvin gives the Jets the big game playmaker and ability to change the game with one touch of the ball they needed. If this trade works in the Jets favor and Harvin becomes the big time receiver he was in his Minnesota days, Jets GM John Idzik will have a slightly higher chance of keeping his job. Geno Smith finally has the weapons to preform at a high level. It now becomes make or break for him. The Jets front office has given him something they never game former Jets first round QB Mark Sanchez, proven wide receivers in the NFL. 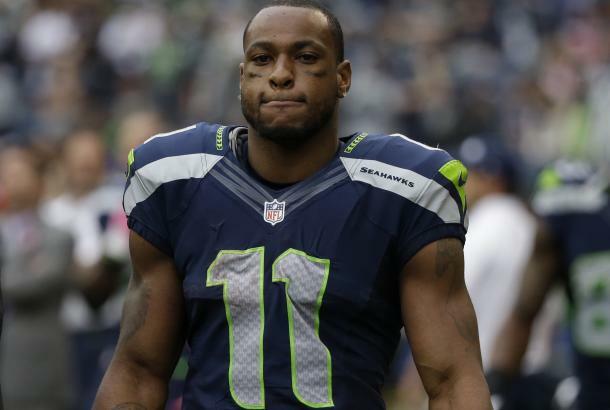 The job security and future of Geno Smith and Rex Ryan rests on the shoulders of the recently acquired former All-Pro WR Percy Harvin. Clearly, the Jets have placed a domino effect on the Harvin trades; many different outcomes can be produced based on the play of Harvin. Life Long NY Jets, New York Yankees, and New Orleans Pelicans Fan. Student of sports.